Nearly three months before a new edition begins, SAGSE Buenos Aires organizers announce that the online registration to attend the show is now live. The trade show specially tailored for the gambling industry in Latin America will take place on September 11-13 at Centro Costa Salguero in the city of Buenos Aires, Argentina. The event will bring together major operators, manufacturers, suppliers, regulators, and other industry professionals from the Latin American region and the rest of the world. The online registration system can be accessed on the event’s website or directly through this link. Early registration allows visitors to obtain their provisory badges, to avoid lines at the entrance, and access the exhibition more quickly. Admittance to the show is restricted to gaming professionals only and has no charge for them. 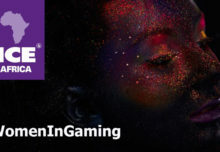 SAGSE Buenos Aires promises to be one more time a varied and comprehensive showcase meeting point for the industry, where manufacturers of live and online gaming, and software developers will exhibit, together with regulators and many other services and products providers for the sector. Some confirmed exhibitors so far include: BCM, BELATRA LATINOAMERICANA, BETCONSTRUCT, BMM INTERNATIONAL, BYA GROUP, CAOLAB, CAOLBA, DAYCO GAMING S.A, ED ROBERTS, EGT, EURO GAMES TECHNOLOGY, FACALQA, GLI – GAMING LABORATORIES INTERNATIONAL, GOODY GROUP, IGT – INTERNATIONAL GAME TECHNOLOGY, INSTITUTO PROVINCIAL DE JUEGOS Y CASINOS MENDOZA, JCM GLOBAL, LOTERIA DE LA CIUDAD DE BUENOS AIRES S.E, MALTA GAMING AUTHORITY, MERKUR GAMING, MOHIO GAMING, NOVOMATIC ARGENTINA, PAMPA GAMING, PERMAQUIM, QUINEL, SIQ LJUBLJANA, STANLEYBET, STRUCTURA CAPITAL, TECHNO GAMING S.A, WIN SYSTEMS, ZITRO, among others. The recommendation sent out by SAGSE organizes for all visitors is that for this edition it is necessary to make hotel reservations early enough – the advice takes into account the busy general event agenda for this year in the city of Buenos Aires. In an attempt to accompany this situation, SAGSE is offering in partnership with top-level hotels preferential rates for visitors attending the show. Partner hotels include Alvear Icon Hotel & Residences, Alvear Palace Hotel, Dazzler & Esplendor Hotels (Wyndham Hotel Group), and Recoleta Grand. For reservations, visitors and exhibitors can visit SAGSE’s website, Official Hotels tab.